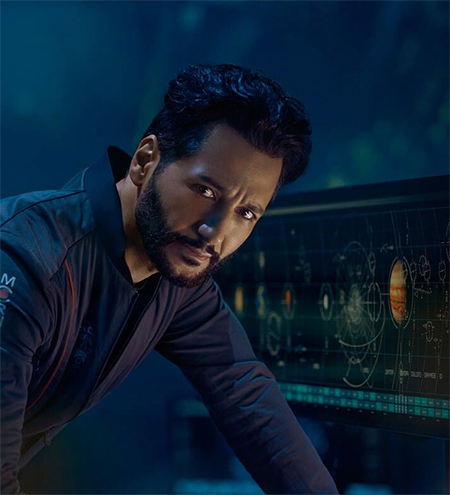 Anvar is now one of the leads on Amazon Prime's sci-fi epic The Expanse. In a myriad of diverse characters he's the Martian fighter pilot with Texan drawl and witticism up his sleeve. Deemed the "Game of Thrones of space," The Expanse has been likened to modern day Star Trek cult status. Anvar can also do incredible things as a voice actor. Fans love to interact with his Assassins Creed alter ego: ALTAIR. It's one of his most popular roles with his fans. Fans can sometimes see him donning the Altair garb but they will always catch him with his hidden blade strapped to his arm. Anvar has just wrapped filming with Martin Freeman and Diane Kruger on The Operative, a thriller soon to hit theatres. Earlier this year he co-starred with Peter Saarsgaard, Joey King and Mireille Enos in a Veena Sud drama currently titled Between Earth & Sky. You can also find Cas in Lost as Naveen Andrews’ brother. He was also our favourite villain on Guillermo Del Toro's The Strain as Sanjay Desai.